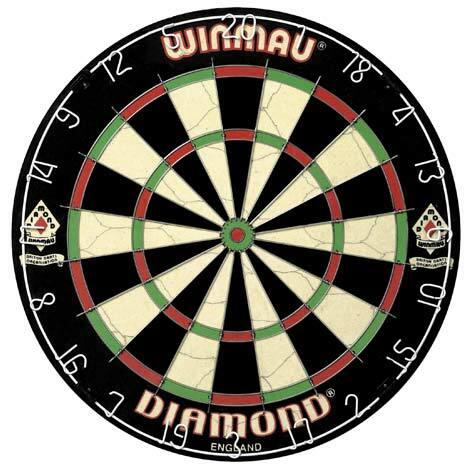 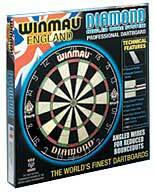 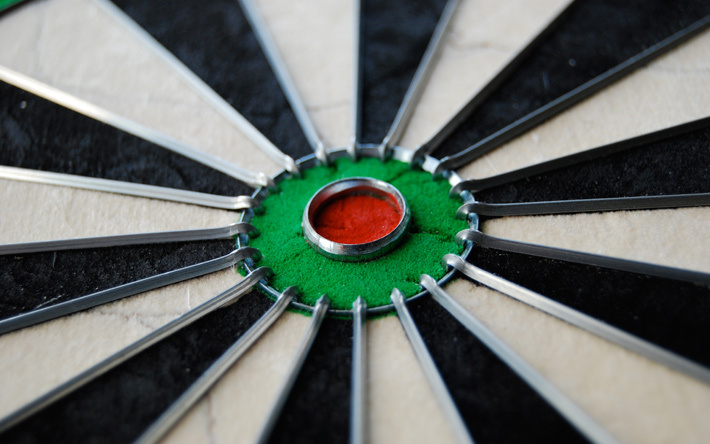 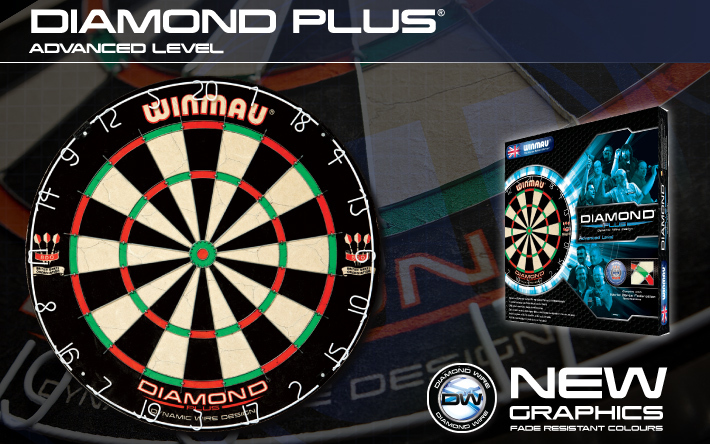 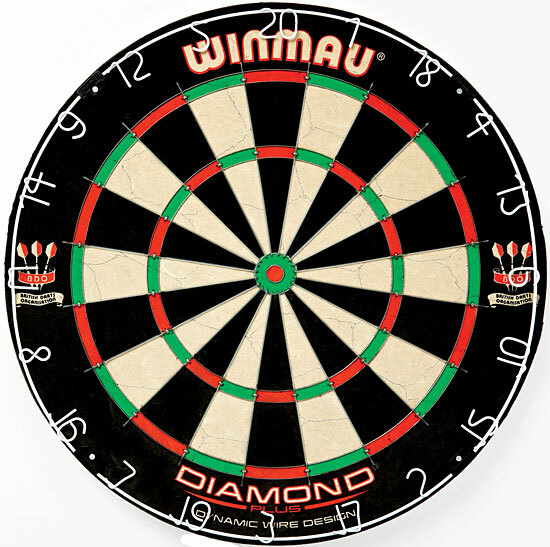 The Dartboard design and improvement resonates deeply at Winmau and the Diamond Plus is another first from the Worlds leading dartboard manufacturer. 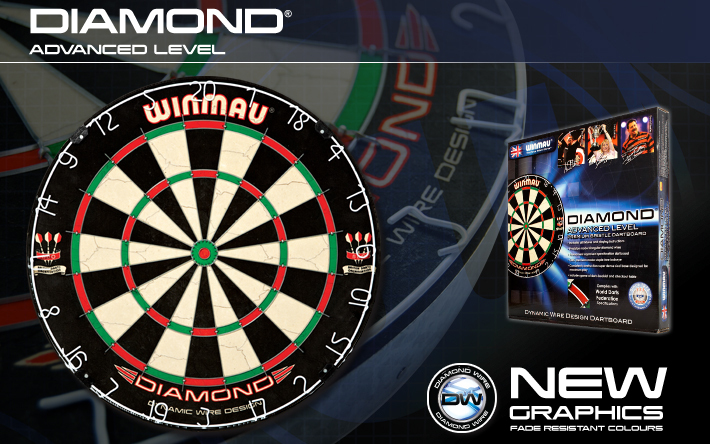 This stunning new dartboard offers a wiring system that is leaner, more refined and geared to modern darts performance at the advanced level. 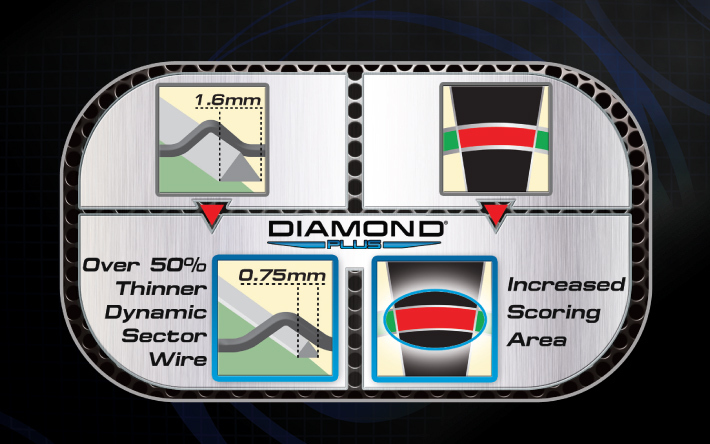 With dramatically improved playability and durability, the Diamond Plus features a completely new high tensile Dynamic Sector Wiring system for reduced bounceouts. 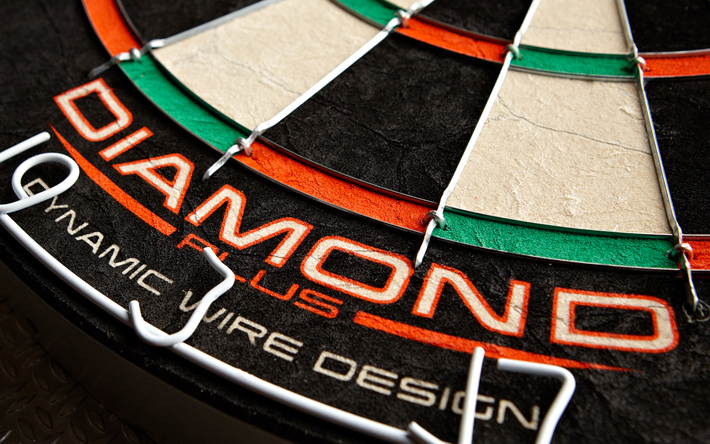 The Diamond Plus is a tournament specification dartboard with a CNC precision-manufactured staple-free bullseye and consistent construction high visibility super dense sisal base designed for maximum play. 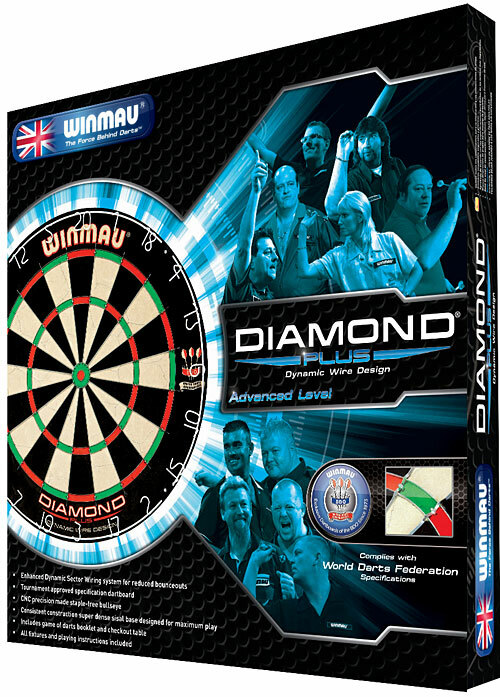 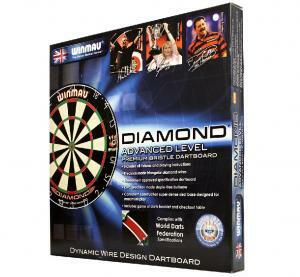 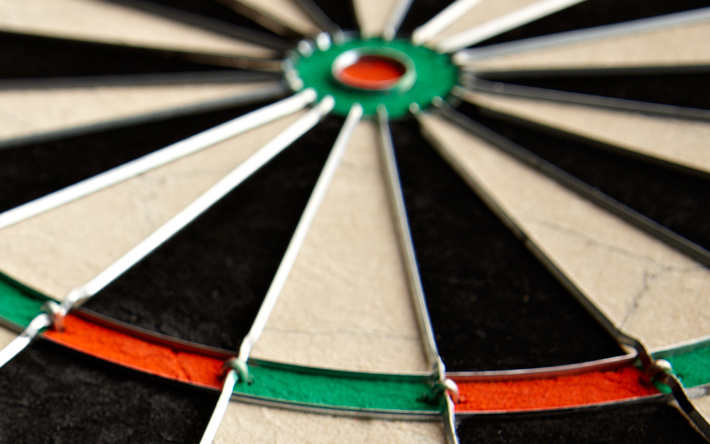 The Diamond Plus is exclusively endorsed by the British Darts Organisation and complies to World Darts Federation specifications. 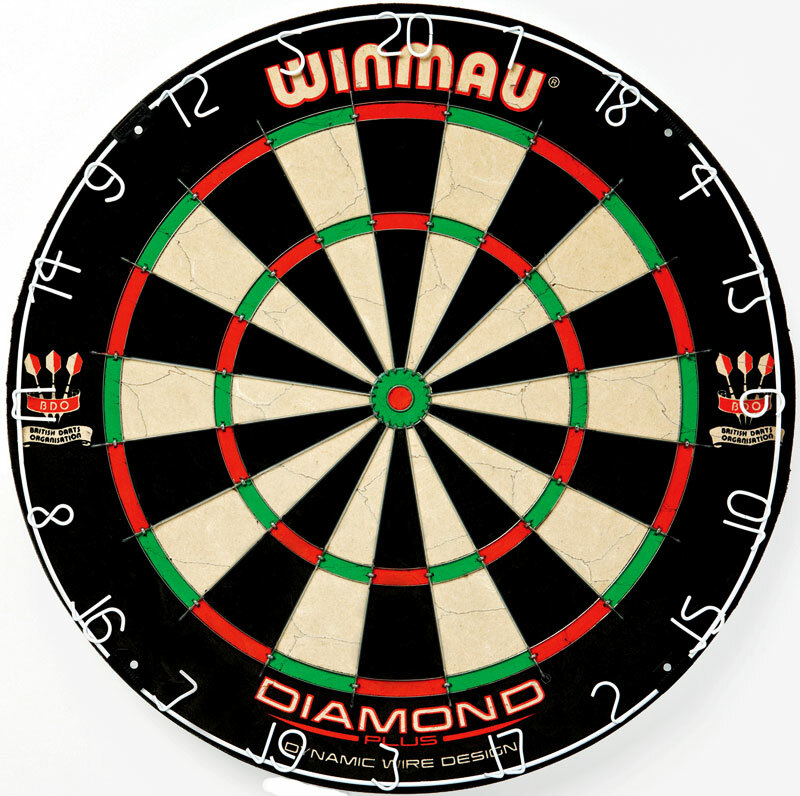 Other unique features include an anti-glare number ring, game of darts booklet and checkout table. 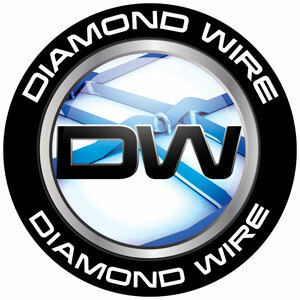 Welcome to a new chapter in Diamond wire technology! 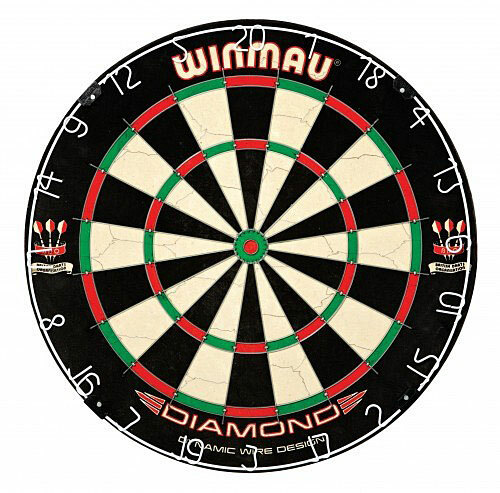 There is No "Free Shipping" for dartboards, backboards, or cabinets. 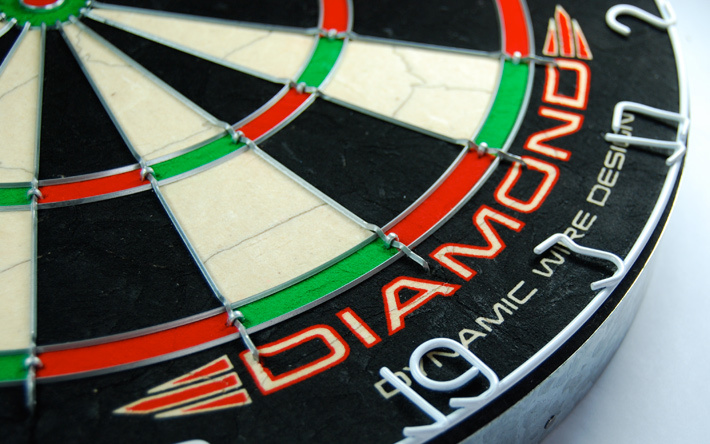 Please call us at 563.243.2263 for approx shipping rates.